The people of the Viking age are thought to have seen the world like a kind of round plate or disc, at the middle of which stood an enormous tree – Yggdrasil, the tree of life. Yggdrasil stretches from the underworld, through the world of the living and all the way up to the heavens. Yggdrasil is sometimes described as a large ash tree, and sometimes as a tree that stays green all year round. The tree’s branches reach out all over the world and its roots stretch to different parts – one goes to Midgard, where mankind lives, one to Utgard, where the giants live, and at the third root lies Niflhel, where Hel, the goddess of the underworld, lives. Next to the trunk of Yggdrasil lies the miraculous Well of Urd. Urd is one of the Norns who live under the tree’s roots. The Norns are goddesses of destiny and they are called Urd, Verdandi and Skuld – what was, what is and what will be. There are various animals that live off and in Yggdrasil. One of the roots is gnawed at by the serpent or dragon Nidhogg, the squirrel Ratatosk runs along the trunk and the mighty eagle Hraesvelg sits right at the top. A goat by the name of Heidrun feeds on its leaves and in the crown of the tree four deer chew on the new buds. Asgard, high up in the crown of Yggdrasil, is where the gods live in their own domains. These domains often tend to reflect the god or goddess who lives there. Njord lives in Noatun, Freyja lives in Folkvang, Thor lives in Thrudvang, Heimdall lives in Himinbjörg and Frigg in Fensalir. The gods descend to Midgard via the Bifrost – the rainbow bridge. 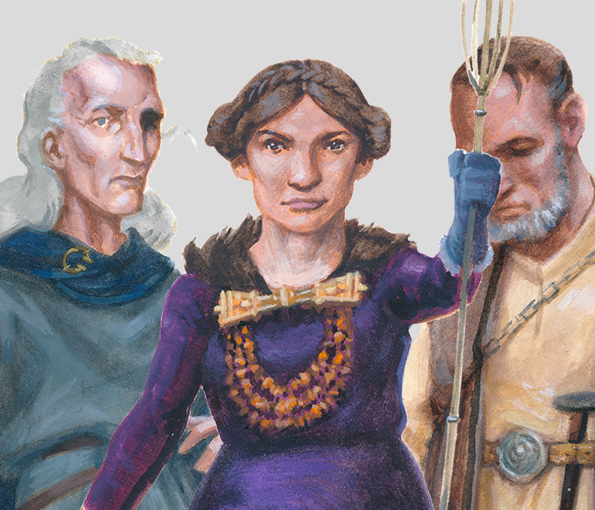 When the gods need to decide things, they get together to hold a council at the Well of Urd. Within the walls of Asgard lies a large plain, Ithavoll. This is where the gods gather to decide the fate of mankind, and to craft, forge and work wood. The gods had a large wall built around the whole of Asgard to protect themselves from attack by the giants. 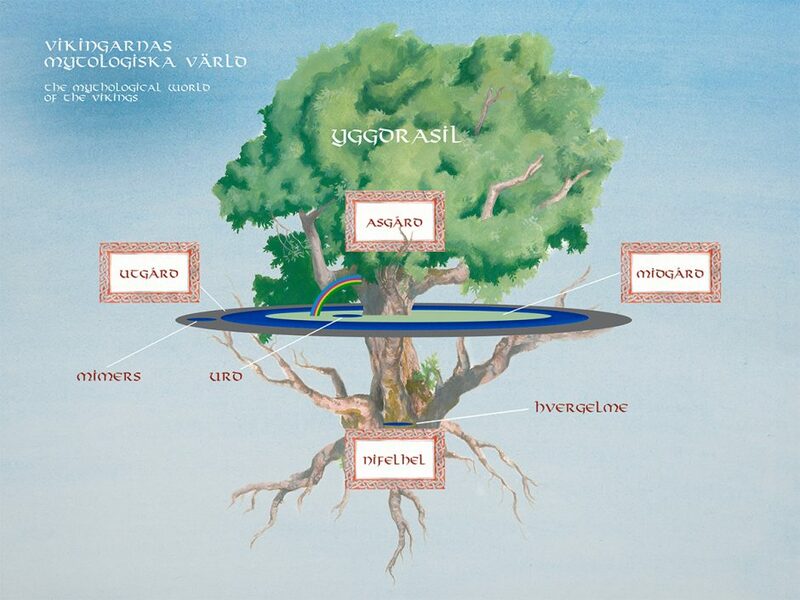 Around Yggdrasil lies Midgard, the place or the realm in the “middle”, which is the world of mankind. The people here may be either free or owned by others, and then they are called thralls (slaves). Alongside their homes in Midgard, people also build places that reflect the world of the gods, with a tree, a temple and a source of water. The world and the heavens were created with building materials taken from the giant Ymir. It was Odin and his brothers who came up with the idea of using the giant’s body. When we walk in the forests and mountains, swim in lakes and look up at the stars, Ymir is everywhere around us. The sky is his skull, the mountains and rocks his bones, the earth is his flesh, trees and grass are his hair, his blood is all the water in the seas and lakes – and the clouds in the sky are his brain. So he must have been quite a large giant! The world is encircled by a large ocean, and in that ocean lives a massive snake descended from giants. Known as the Midgard Serpent, it bites its own tail and rarely shows itself. Once Thor tried to catch the serpent on a fishing trip. When the Midgard Serpent, whose actual name is Jormungand (“the huge monster”), was little, Odin cast it down into the sea, where it grew bigger and bigger and now it is so large that if it moves too much it causes an earthquake. Beyond Midgard and beyond the ocean, way out at the end of the world, lies Utgard, where the giants live. 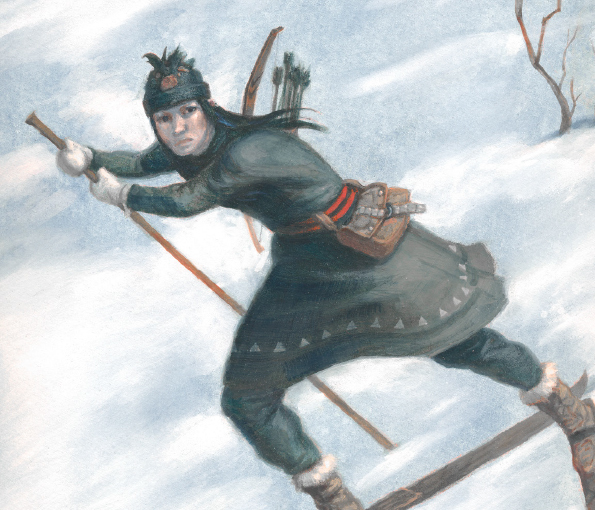 If people travel too far out to sea or into the mountains or out into the wilderness, they might get far too close to Utgard and get trapped there. 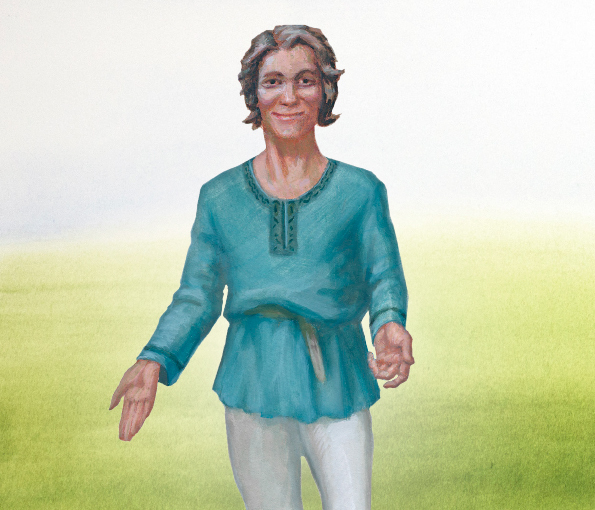 The giants are the sworn enemies of the gods, but that did not stop the god Freyr, for example, from falling in love with the giantess Gerd or the giant Thrym from wanting to marry the goddess Freyja! Sometimes there are marriages between gods and giants, as with the god Njord and the giantess Skadi. Thor often heads east with his hammer to battle the giants, and other gods also occasionally travel to Utgard on various errands. Sometimes the gods and giants even feast together. The home of the giants is also the location of the well of wisdom known as Mimir’s Well, where Odin sacrificed his eye. The giants have a ship called Naglfar, which is steered by Rym. The ship is made from dead men’s nails and it is the largest ship in all the world! It is forever winter in the underworld of Niflhel, the misty realm. This is where the dragon Nidhogg lies gnawing at Yggdrasil’s root, by the well Hvergelmir. Hel, daughter of Loki and Angrboda, was cast down here, where she created a realm of the dead. Hel is sister to the giant wolf Fenrir and the Midgard Serpent. In the far north lies a shore called Nastrand – the corpse shore. Here stands a large and terrible hall, woven out of the bodies of snakes that spit out corrosive venom. Beings called “death wolves” wade through the rivers of poisonous venom. The path to Niflhel runs down through dark valleys and over the river Gjöll, the boundary with the world of the living. The bridge over to the realm of the dead is called Gjallarbru. Niflhel is surrounded by a wall and the entrance, Helgrind, is guarded by a giant hound. Down in the realm of Hel there is also a black and red cockerel who crows for the dead. 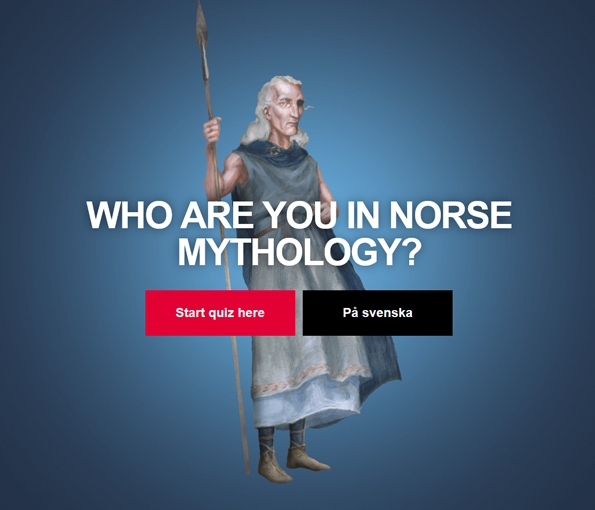 Who are you in Norse mythology? 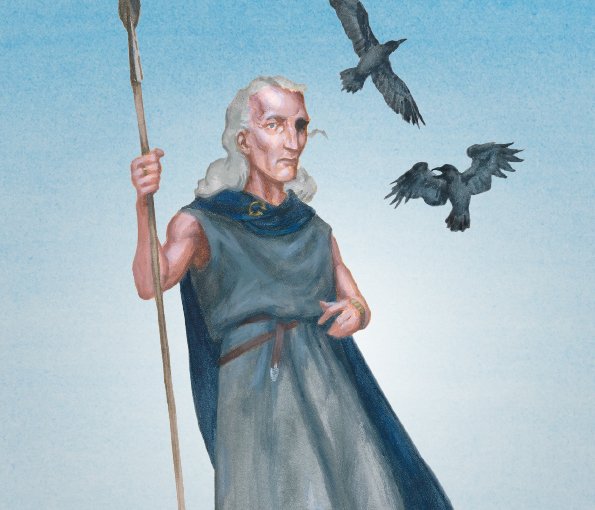 Are you playful like Idun, charismatic like Balder, a family lover like Freya or wise and sophisticated like Odin? Find your answer in our unique quiz! Read more about some of the mythological creatures from sagas and stories in the Norse mythology. 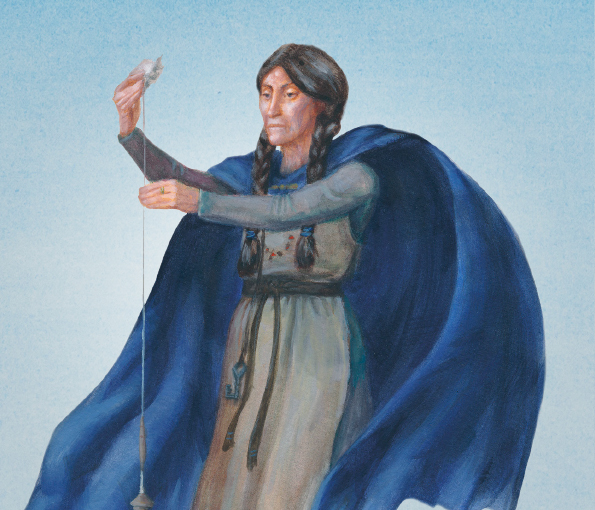 Skadi is a giantess, but became accepted by the gods of Asgard when she married the sea god Njord. Heimdall stands guard at all times, and with his sharp vision and incredible hearing he can see for a hundred miles and hear the growing sounds of grass. 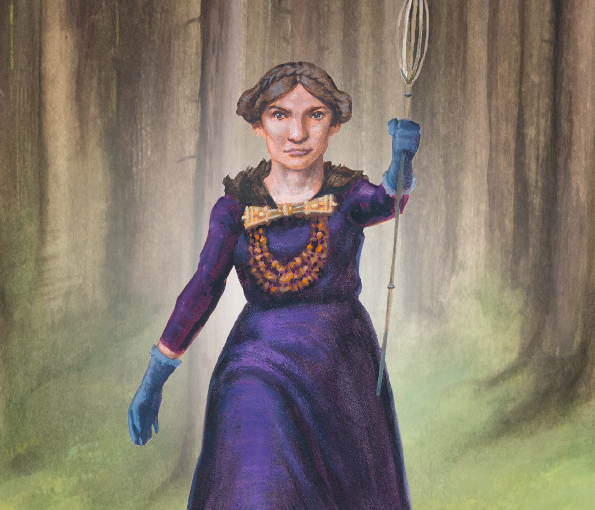 Freyja knows the art of predicting the future – prophecy – and she teaches Odin this magical art. 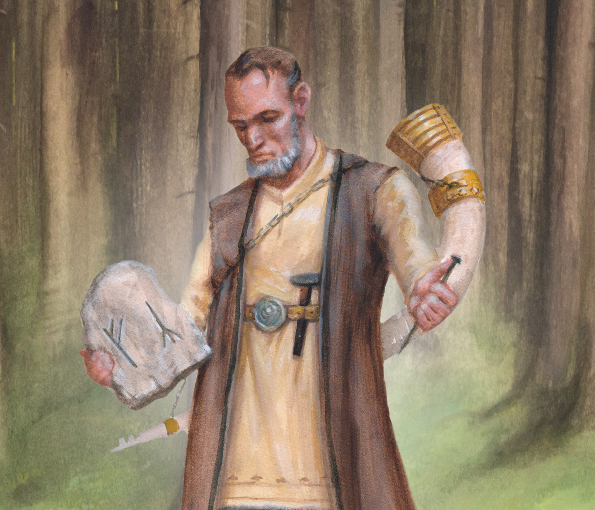 Balder is the son of Odin and Frigg, and with his friendliness, gentleness and wisdom, he is loved by everyone in Asgard. Frigg is the Queen of Asgard and the highest of the goddesses. She is also the goddess of motherhood and marriage. 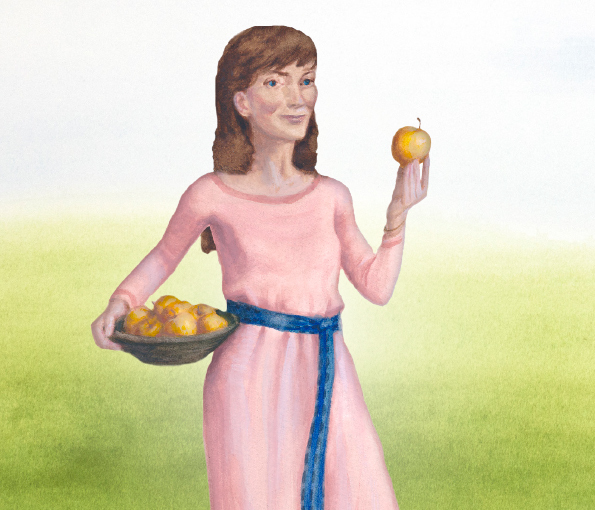 Idun is the goddess of youth – her name means “giver of eternal youth”. The other gods get golden apples from her. 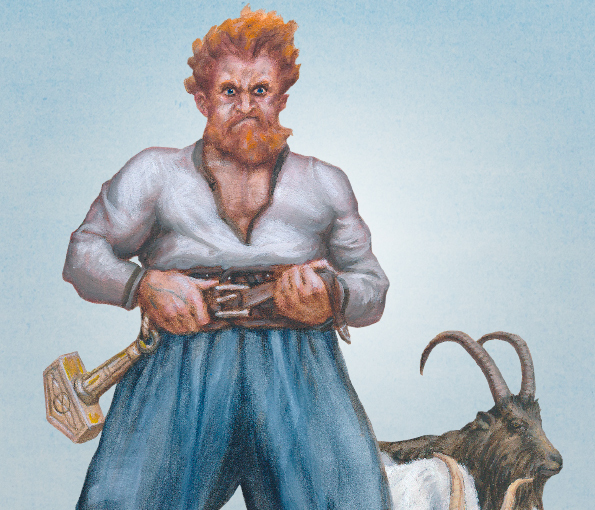 Thor the thunder-god is temperamental, with red hair and bushy eyebrows. Half of the warriors who die in battle are taken to his hall of Valhalla. He is the one-eyed All-Father, who sacrificed his eye in order to see everything that happens in the world.